A very common thing people ask me is what to eat the night before their first half marathon (or enter race distance here). What may work for me may not work for you but I am someone with a stomach who controls their running. For me, bananas are a no-go. My pre morning meal is half of a bagel with peanut butter and I run with a mini protein bar if I get hungry on the course. So I reached out to my friends at First Watch and had them put together some fueling tips for the upcoming First Watch Sarasota Half Marathon. I never expected to be this excited upon getting the email back - Corporate Chef Shane Schaibly literally went inside of my brain and crafted the tips on what I eat! Avocado Toast and eggs are my go-to post race meal. Granola, fresh fruit and yogurt are a staple in my house. Lastly, anytime I see a carrot ginger fresh juice on a menu, it is instantly ordered. I am happy to post these amazing fuel tips a Half Marathon thanks to First Watch Corporate Chef, Shane Schaibly. 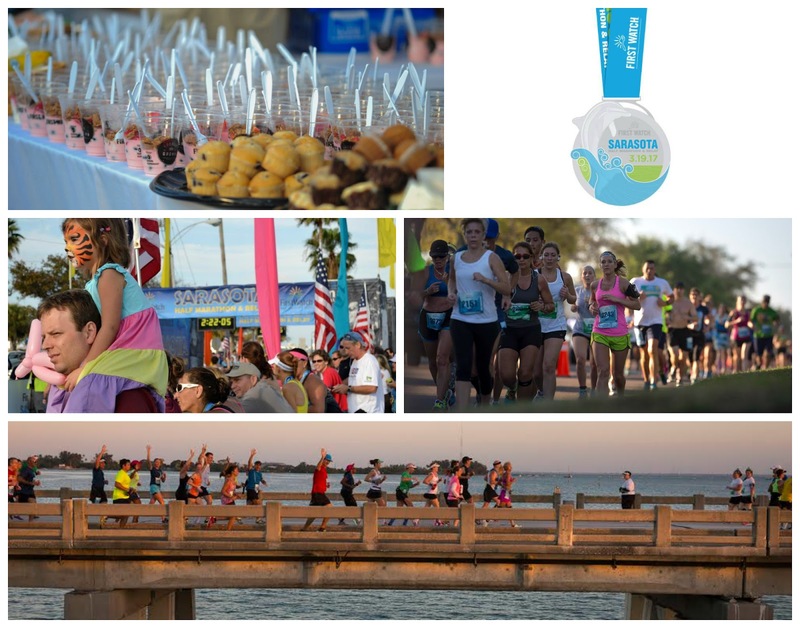 First Watch is giving away an entry to the First Watch Sarasota Half Marathon. Click here to enter it. This means I have three giveaways going at this time! Click here and here for the other two. When Megan asked me to put together some tips to fuel up for the First Watch Sarasota Half Marathon, I was pretty pumped. There are a bunch of things I love about running – well, I really like watching other people do it, and I love the part where it’s over and especially the part where you get to eat afterward. In all seriousness, it takes a ton of determination, discipline and intense training to work up to a half marathon, and I applaud you for all of your hard work! In addition to a dedicated training program along with hydration, your diet and nutrition are vital to your success when running the race. Food is fuel, and I’m excited to provide you with some quick tips to fuel up for this year’s Sarasota Half Marathon. Throughout your training, eat healthy snacks like these to keep your energy levels high. 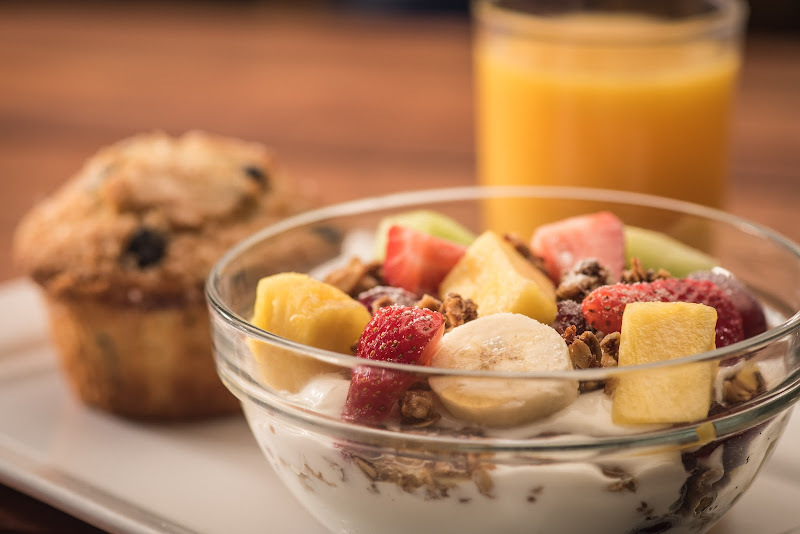 Energy Bowl – Your choice of our housemade granola or Muesli cereal of oats, sliced almonds, pecans, dried cranberries, wheat germ and raisins. Topped with fresh fruit and a touch of cinnamon. Served with non-fat vanilla Greek Yogurt. 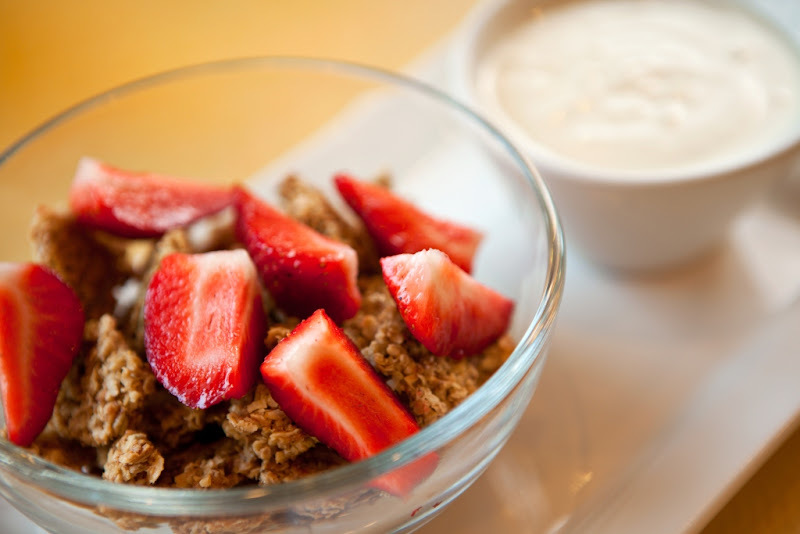 Sunrise Granola Bowl – Non-fat vanilla Greek yogurt layered with fresh, seasonal fruit, nuts and our housemade granola. 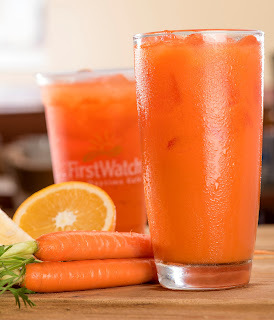 Pair the Energy Bowl or Sunrise Granola Bowl with our fresh Day Glow juice (Carrot, orange, lemon and organic ginger). This healthy combination should give you that extra pep you need to get through your training! Race week should have you fueling up with a healthy, balanced diet to prepare your body for the 13.1 miles ahead. 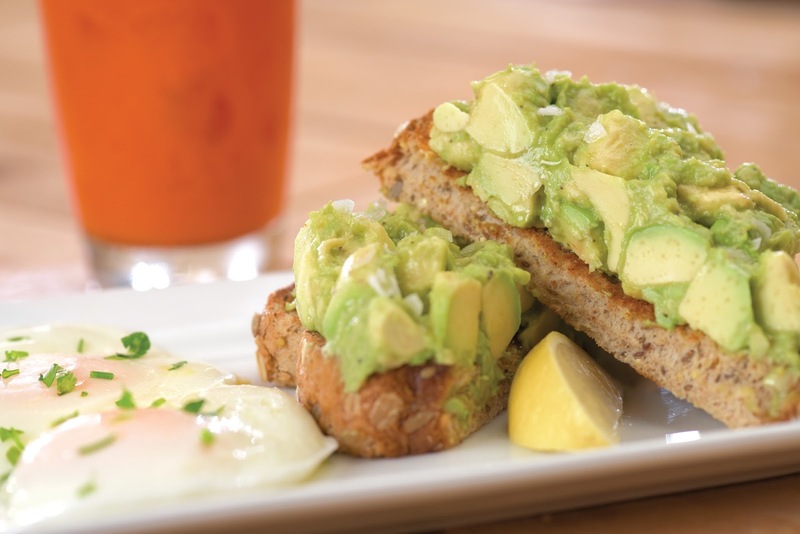 Avocado Toast – Our thick-cut whole grain toast topped with fresh smashed avocado, EVOO, lemon and Maldon sea salt. Served with two cage-free basted eggs. The night before the race, eat a simple dinner that contains carbs to give you energy for race day! The night before the race, it’s important to eat something that’s easily digestible and contains carbohydrates to give you energy for the race. Pasta is always a good choice, but try to avoid any thick, heavy sauces or too much butter, since you definitely don’t want to feel weighed-down on race day. On race day, eat a light breakfast to give your body the energy it needs to finish the race. The morning of the half marathon, you’ll want to eat something to get your body going. This breakfast should be simple and something that your body is used to consuming. Toast, oatmeal and cereals are all good sources of energy that will be slowly released throughout the morning during your run. Don’t forget about the post-race Pancake Party (and Michelob Ultra beer garden)! After the race, we’ll be waiting at the finish line with lots of fun snacks to help you refuel. This includes our famous post-race pancake station, along with lots of fruit and other healthy snacks to replenish those energy levels. Don’t forget to stop by the Michelob Ultra beer garden to celebrate your accomplishment too! Keep in mind that no two bodies are exactly alike, so it’s important to pay attention to your nutrition and the way your body responds to different foods to figure out what works best for you. Race day will be here before you know it, and I know I speak for the rest of the team at First Watch when I say we are thrilled to be part of your awesome accomplishment. See you all on March 19!